Arguably one of the most iconic Jenny Bird pieces - the YaYa Choker. Pair up, pair down, squeeze to wear anywhere along the neck. 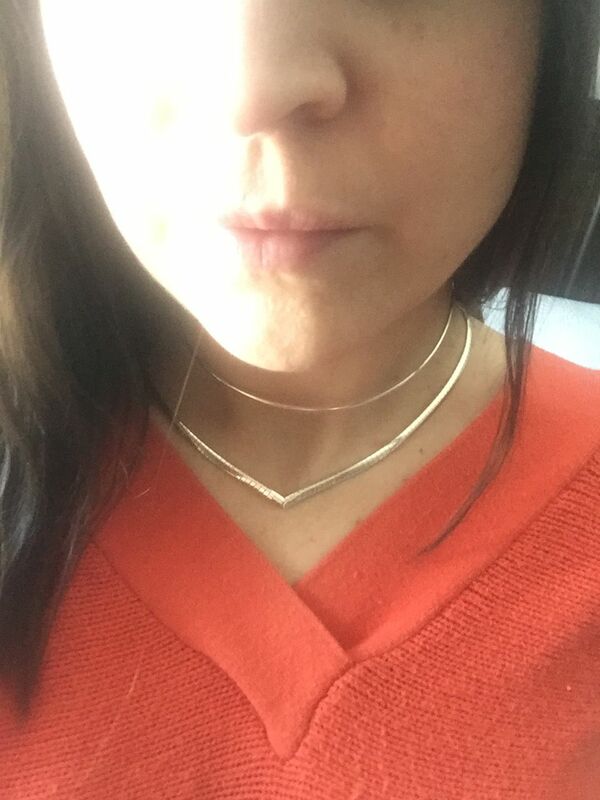 This chocker is very unique and dainty.....a great layering piece or worn on its own! Love my silver Ya-Ya choker. I dress it up for a night out and dress it down with a simple t-shirt and jeans. Understated yet polishes off an outfit perfectly. Fits comfortably, high impact. Wish the band reached a bit further around my neck but overall this is a beautiful and unique necklace. Love it!! Perfect simple choker for any occasion! This necklace is amazing and it looks fantastic! Easy to put on and makes any outfit look more polished!